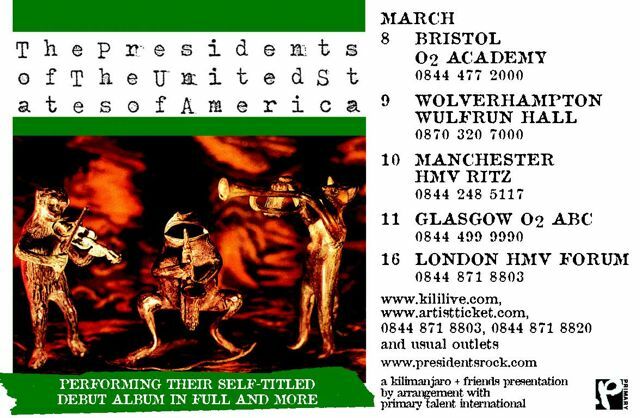 The Presidents of the United States Of America – March 9, 2012 – Wolverhampton, UK – Special – Reviews, photos, setlist and more…. 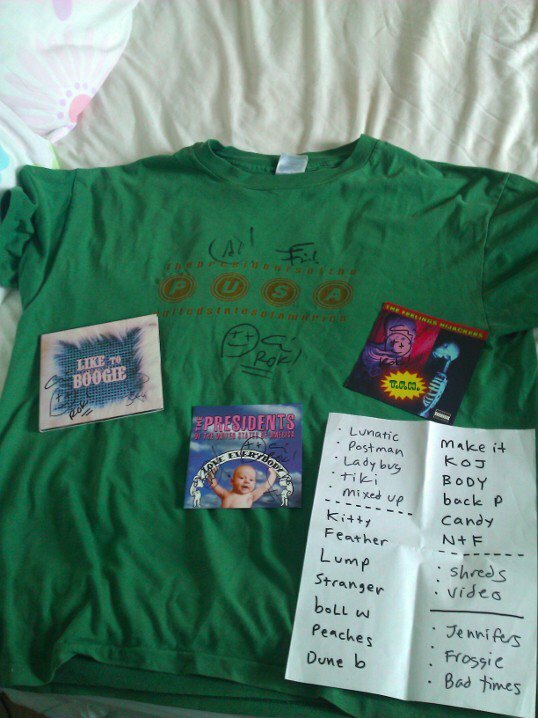 Second PUSA show from the 2012 European tour. Setlist photo by Mark A. The wolves setlist was different from the above. They played Mixed Up SOB, ladybug, bit of George of Jungle and Shreds pf Boa. And KOTJ again in encore. Atarted with Lunatic to Love as well. They didnt play rot in the sun at wolves or nothin but luv either. Thanks.